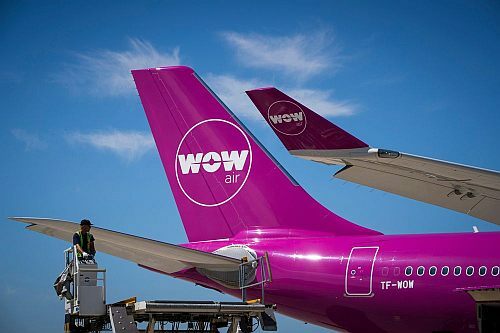 It's been a long drop for WOW, who burst onto the scene with rock-bottom fares to Europe and unique branding. But around last fall, it became clear that trouble lay ahead for WOW. Icelandair backed away from a takeover of WOW not once, but twice. So did Indigo Partners, a hedge fund that is known for turning around struggling budget airlines. After a period of high fuel prices, times have been tough for budget airlines. WOW Air isn't the first trans-Atlantic budget carrier to collapse, as we saw with Primera Air here in Canada last October. Norwegian Air, currently offering flights out of Montreal, is also known to be struggling. montreal, yul, news and wow air. One Response to "WOW Air Collapses, Ceases All Flight Operations - What You Can Do"
That’s too bad. I felt they were a good airline. Flew them 3x (Iceland , England and Israel ) and found the prices amazing. They were clean new jets with friendly employees. We will miss you Wow !